If you are shopping for the perfect used truck at a great low price in the Dayton, OH area, Joseph Airport Toyota is the place to go. Stop by and check out our selection today. Shopping for your used truck can seem cumbersome when you aren’t sure where to shop. Are you paying too much? Are you getting a quality vehicle? Will it have issues or break down on you when you least expect it? These are all questions to consider when buying used trucks. At Joseph Airport Toyota, we have a great selection of reliable trucks at every day low prices. When you search for used trucks, you may wonder, what kind of truck will I find without breaking the bank? When you shop with us, you will get a reliable used truck. How do you know it is reliable? That’s easy! We put each vehicle we take into our inventory through a rigorous multi-point inspection. During this process, we look for mechanical, safety, and cosmetic issues. If we find any issues, we make the necessary repairs to our used trucks. We even put each vehicle through a thorough reconditioning process to ensure you get a great truck that not only looks good but will last you for miles to come. We don’t want our customers to drive off in a used truck that will give them a headache. We want our customers to be completely satisfied with their vehicle and our reputation shows it. Stop by Joseph Airport Toyota and take a look at our selection today. Who doesn’t love dependable used trucks? What if we told you that we give you even more? When you buy a qualifying used truck from us, we back it with a warranty. Our Yes Plan Certified Lifetime Warranty gives you the peace of mind you are looking for. What is a qualifying vehicle? Most makes qualify as long as they are 2011 or newer with less than 80,000 miles. This great warranty covers engine, drivetrain and transmission service, which is the peace of mind you need for your used truck. We want you to feel confident with your truck purchase and by offering this Yes Plan Certified Lifetime Warranty on qualifying vehicles, you can have the reliability you want and the peace of mind you deserve. Do you want to learn more about this warranty or find a qualifying used truck? 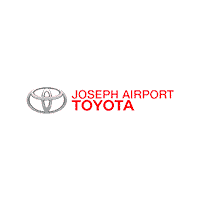 Our professionals at Joseph Airport Toyota are standing by to assist you with all of your questions. We know you have options when it comes to buying your used trucks but we believe it is better to buy here. At Joseph Airport Toyota, you are not just another number walking through the door. We strive to build relationships with our customers that will last a lifetime. We believe in full transparency when it comes to our vehicles and that is why we offer you a free CarFax Report on every used car we sell. We are proud to offer you our Yes Plan Certified Lifetime Warranty because we want to back our used trucks to prove to you that our vehicles are reliable. We have a great selection of used vehicles, including used trucks for you to choose from and we have competitively low prices. We even have vehicles that are under $15,000 so we are sure to have a truck that will fit your budget. Take a look at our selection of used trucks, then stop by and see us at Joseph Airport Toyota today. With such a brutal winter, when summer arrives in Ohio, it’s time to head outdoors. Take advantage of the extra sunlight and warm summer breeze. 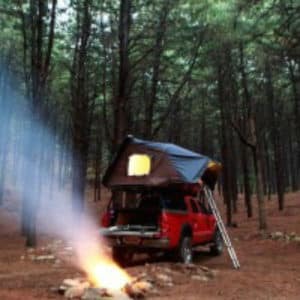 Take your crew camping at Twin Creek Park and enjoy the great outdoors or take in some fishing. Can you picture your truck from Joseph Airport Toyota packed with your favorite outdoor toys for your weekend adventure?